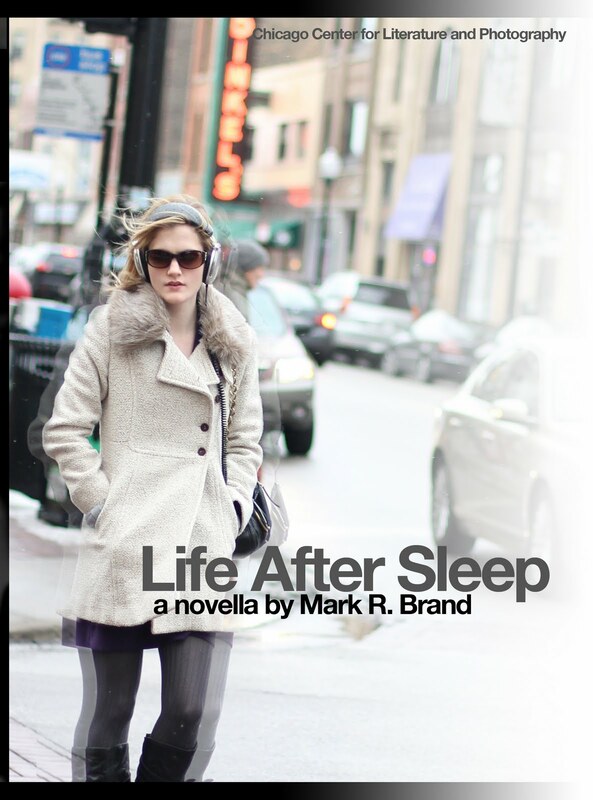 I'm thrilled to announce the release of my first long-format work in over 5 years, the novella Life After Sleep, published today by the Chicago Center for Literature and Photography. Available now on your Kindles, iPads, iPhones, Sony Readers, Nooks, Crannies, Beepers, Jeepers, Flim-Flams, Whiz-Bangers, and whatever else you kids are reading books on these days. Also available as a good ol' fashioned printable PDF in either American letter or European A4 sizes, though if at all possible I would highly recommend checking out the MOBI or EPUB versions on your digital readers because this book was designed by none other than the stellar Jason Pettus, and the man can put together one hell of an eBook. Trust me on this. To that effect, be sure to also check out my fellow CCLaP authors Ben Tanzer and Sally Weigel and their books Repetition Patterns, 99 Problems, and Too Young to Fall Asleep, respectively. Awesome, awesome reads. I was thrilled (and humbled) to have the chance to work with Jason and our team of very generous and gentle proofreaders, and to see this project evolve into something I'm enormously proud of and that I sincerely hope you enjoy. Point your browser here to read more, and for how to get your very own high-tech digital copy. Next up: flying cars. We can hope, right?